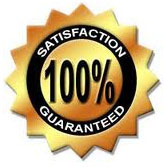 ALL OUR PRODUCTS COME WITH A 30 DAY SATISFACTION GUARANTEE! Return the item in new, resale able condition and we will promptly refund your money. We believe in our products and stand behind them and get almost no returns for any reason. Thank you for your order! Feel free to contact us with any questions. All products from Bushindo Inc. are of the highest quality and we guarantee their effectiveness. However, if for any reason you are not satisfied with the product we offer a 30 day money back guarantee from the date of purchase. Please include a note with your order ID# or full name, email address, phone number and your reason for returning the product(s). We cannot accept returns on overly used products that are not in the same resale able condition. All returns must be sent by a courier such as UPS or USPS with Delivery Confirmation. Refunds will not be issued for any returns not received by us, unless sender can provide proof that a package was shipped to us. We will only issue a refund to the credit card used at the time of checkout or in the form of your original payment. If you have any questions about our refund policy, please call our Customer Service at 707-987-9322.